Do you want to move forward in your life? Are you stuck? What obstacles are holding you back? What would it take to release yourself into your purpose, destiny and calling? I can help you and I get results. With training in Psychology, Counselling, Education and Prayer Ministries, I can help you to overcome any issues that are stopping you. Continual improvement of my skills lets me better serve you. I am passionate about helping people like yourself get past the obstacles in life and for you to reach your potential, calling and destiny. 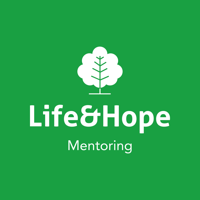 Mentoring is offered both face to face or via internet conference calls.